The wheels proved once again to hold up to the most challenging races in the United States battling huge rocks, desert whoops and sand washes at speed. There is no doubt that the Monster Wheel could stand to battle and was also seen on quite a few trail rigs loaded with spectators headed out to watch the action. “Raceline Wheels makes a tough wheel. 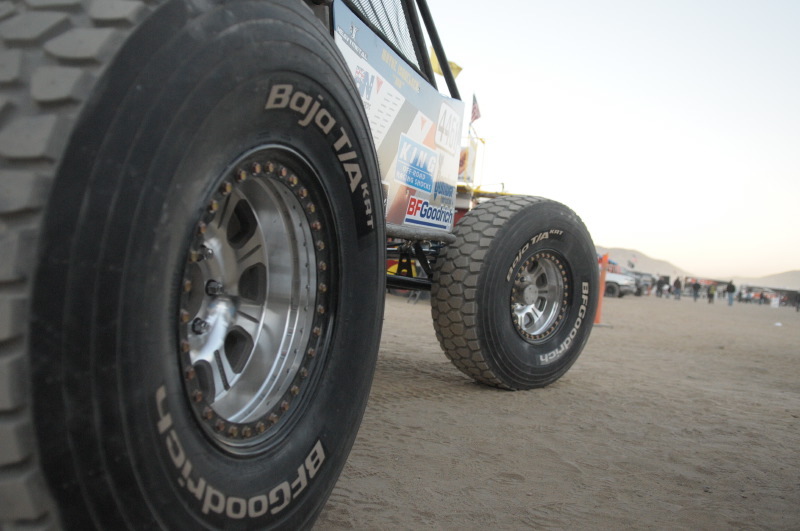 We raced almost eight miles on a flat at King of the Hammers this year and the wheel is still totally straight,” said Lucas Murphy #816. The 2nd Annual Show and Shine was a hit this year, lining multiple rigs up in front of the main tent to be seen. The winners of the show and shine were: Trail Rig, Nazir Adams Wide Open Designs Custom; Trailer Queen, Kenny Hauk in 07 Jeep Wrangler; Beater, Terri Heale 1985 Toyota extra cab;King of the Hammers Competitive Rig Nazir Adams Wide Open Designs #4467. Founded in 1996, Raceline Wheels® are competition proven wheels with multiple championships in many different racing disciplines. Raceline Wheels® has had great success on taking knowledge from racing to the street, bringing the same high quality products to a full line of wheels for everyday vehicles. Owned by Allied Wheel Components, Inc., Raceline Wheels® distributes its products through an independent distributor system in the United States and through international distributors in more than 30 countries. Headquartered in Garden Grove, California (Orange County), Raceline Wheels® is a wheel industry leader in performance, craftsmanship, engineering and innovation. 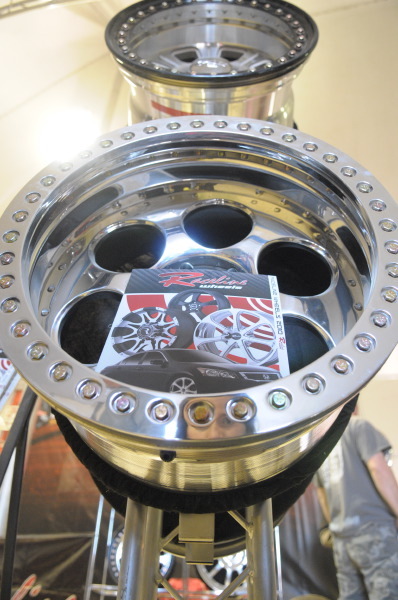 For more information on Raceline Wheels®, log ontowww.racelinewheels.com.